A North Center bank was robbed and its security guard was disarmed Thursday afternoon by a gunman who wore pink clothing, according to an FBI bulletin and a police department source. No one is in custody. 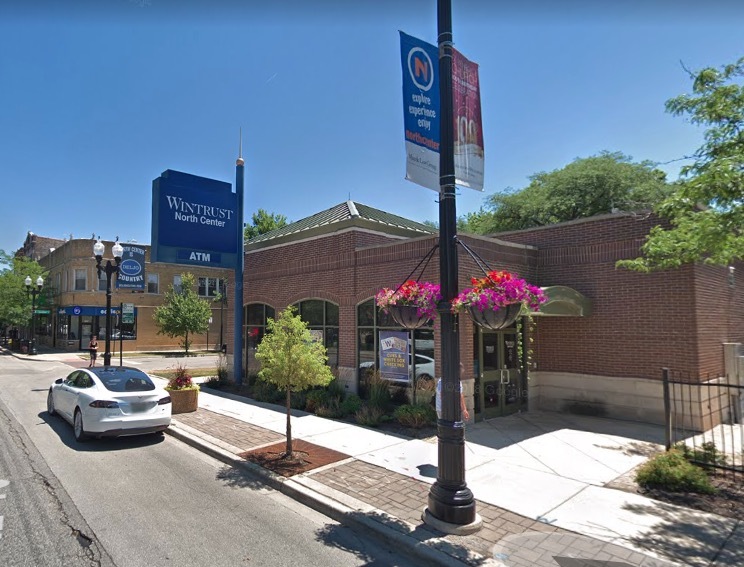 The FBI said the man entered Wintrust Bank, 2139 West Irving Park Road, at 1:29 p.m. He produced a handgun, took the guard’s sidearm, and then robbed the bank of a few thousand dollars before walking out of the bank, according to information provided to CWBChicago. Witnesses said the man approached the bank by walking north on Hamilton Street and he fled down Hamilton after the hold-up. The suspect is described as a black man in his 20’s or 30’s with a small build who stands about 5’9” tall. He wore a red hoodie, a pink hat, a pink boa-type scarf, white sunglasses, and pink pants with a black shoulder bag. A reward of up to $1,000 is being offered by the FBI for information leading directly to the man’s arrest. The FBI's Chicago Field Office can be contacted at (312) 421-6700.